We always aim to have at least five stations on from the Camb-Hams for any of the AFS events, because it’s the top four scores in the team that are counted for the Super-league, and you never know when failure might befall one of the stations. Today, it was our turn to suffer from equipment problems.. I was operating from Gavin M1BXF’s QTH near Newmarket with Mark M0MJH. All was going well before the start of the contest but just two minutes before the beginning, while checking signals with G3PYE/P, our receiver suddenly became deaf. The fault was quickly diagnosed as a failure of the masthead pre-amp, which meant that the mast had to come down as the contest was starting. 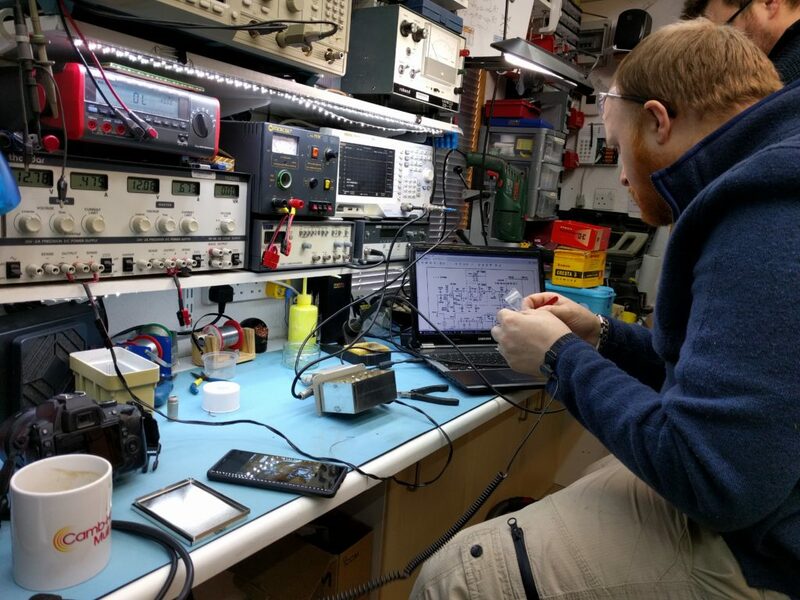 While Gavin concentrated on fault-fixing, Mark and I carried on the contest using a mixture of an X-Quad 9-element satellite antenna (the first time I’ve used right-hand circular polarisation in a contest) and the 2×21 ele stacked yagis, once the pre-amp was off the mast. As you would expect, the lack of pre-amp in the stacked yagis meant that we really struggled to hear the most distant stations. Sorry if you tried to contact us and we couldn’t hear you. Despite the handicap, however, we finished with an OK score of 57 QSOs. Best DX was MM0CEZ on CW, with only one French station worked, even with the overlap in the British and French contest times. And with this contest, we’ve reached the end of the AFS Super-league season, which started back in October. So far, it’s looking good overall for the Camb-Hams, but we’ll see what happens in the final results. Update: Results have now been published and, as expected, we were put in the Camb-Hams B team, which came in 13th place overall. Camb-Hams A came in 2nd place, which was sufficient for Camb-Hams to come first in the AFS Super League for the 2017-18 season.